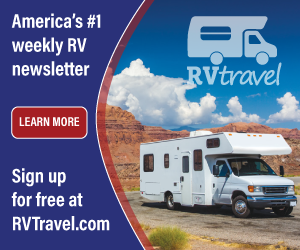 The RV Doctor: New Isolator Needed? Dear Gary, I just purchase a used Ford Class B camper van with a diesel engine. The deep cycle house battery will not charge up while the engine is running. It will charge up while on shore power. I traced the wiring from the deep cycle battery to a device that is cone shape with two terminal posts on top and one on the bottom. The top post that the deep cycle battery is connected has no voltage with the engine running but the other top post does. There is another terminal post at the bottom that shows no voltage with the engine off but does when it is running which leads me to believe this is the alternator connection. 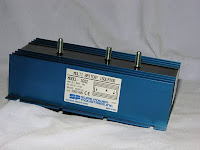 This device looks like it is a battery separator but I not sure of this. I am assuming that the two top terminals are to connect the two batteries but I can only trace the wire going to the deep cycle battery. My questions are does this sound like a battery connector and could it be bad since I only detect 12-volts on one top post and do not detect 12-volts on the other top post that the deep cycle battery connects to. Should I replace this device or do you have any other suggestions? Douglas, indeed it sounds like you are correctly describing a dual battery isolator, though the "cone" shape throws me slightly. Your description of the terminals is exactly how an isolator with a burned out diode on the auxiliary circuit would respond to testing. On that bottom terminal that is "off" with the engine not running....is the voltage in the 14-volt range when the engine is idling? If so, that indeed is the alternator output. Also, with the engine running, the voltage should increase on that other terminal as well. Probably time to pick up a replacement at your closest RV accessory store. Be sure the replacement isolator is rated for more than the output capability of the alternator. It must be "sized" correctly to eliminate the possibility of more blown diodes.